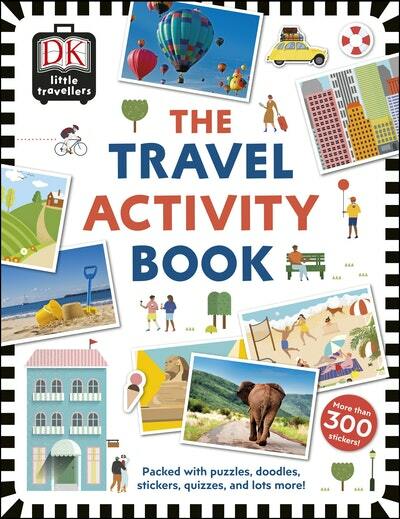 A treasure-trove of travel activities, this fun-filled book is guaranteed to keep kids entertained for hours - whether on a long, boring car journey or waiting in a queue at the airport. This fabulous sticker and write-and-draw-in activity book is packed with cool games for kids to do on holiday while learning facts about the places they might visit. Kids love stickers, and this book is brimming over with more than 250 of them, along with "match-the-flag" and "guess-the-famous-site" games. There are spaces to write and draw in, mazes, word scrambles, number games, and lots, lots more! Car journey games will get kids using their imagination and looking around them, rather than staring at a screen. This boredom-buster is educational too - with quizzes, "top three" lists, and country stats that kids will love. Inventive and creative, The Travel Activity Book will keep kids entertained for hours, whether in the car, at the airport, or even tucked up in bed at home! 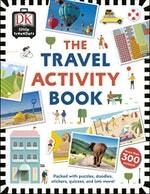 Love The Travel Activity Book? Subscribe to Read More to find out about similar books.